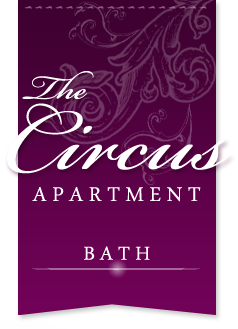 Welcome to The Circus Apartment, Bath. The King's Circus was designed by John Wood the Elder. He started in 1754 and it was completed in 1768 under the direction of his son John Wood the Younger. The Circus makes an impact through its plan. If lines are drawn between its three points of ingress, a triangle within the circle is created. This combination of triangle and circle is explicit in Wood's planned layout. For Freemasons it symbolises the Trinity in Eternity. Wood himself wrote that the circle represented "the Great Canopy of Heaven" and saw an equilateral triangle as the most perfect other shape and a symbol of divinity. For Wood perhaps the most fundamental appeal of The Circus was simple, satisfying geometry. The foundation stone of The King's Circus was laid with great fanfare on 7 February 1754. It seems that Wood had sent out the 18th-century equivalent of press releases. A letter from Bath to the Whitehall Evening Post rejoiced in the "New Buildings going to be erected on the North Side of the Town, after the Designs, and under the Directions, of that celebrated and eminent Architect and Antiquarian, John Wood, Esq." He was never to see the result. John Wood died on 23 May, leaving his son John to carry on the work. William Pitt (Earl of Chatham) and Prime Minister lived at no.11, while no.14 was taken by John, 4th Duke of Bedford. The artist Thomas Gainsborough lived next door at no.17. 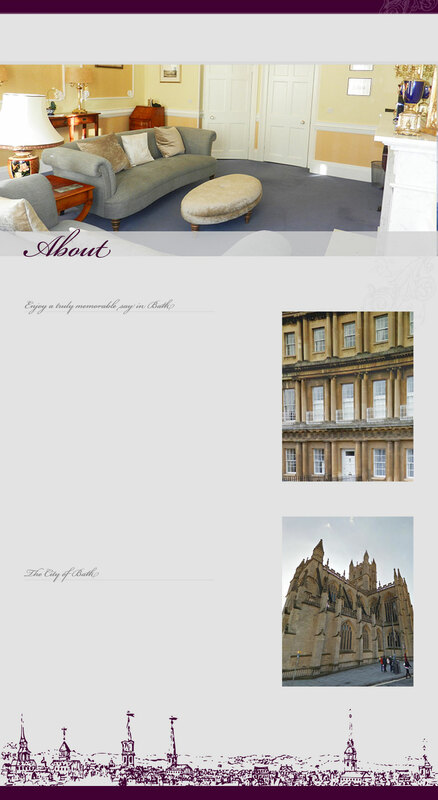 Bath is one of only three United Nations World Heritage Cities, and its history stretches back to the Bronze Age. The hot mineral springs are reputed to have been discovered in 500 BC and later the Romans built a magnificent town called Aqua Sulis. The city later came under Saxon Rule and in 973 AD, Edgar the first King of England was crowned on the site where the Abbey now stands. The city that we see today was created in the 18th Century by the Georgians who built the crescents, squares and parades from the beautiful golden "Bath Stone" quarried from the surrounding hills.